In Latin America, some countries have advanced progressively in the automation of suffrage, reaching the point of extending it to the whole electorate. Brazil and Venezuela are the best examples. They have reinforced their technologies in order to guarantee fair elections through the use of e-voting. However, other countries like Mexico have seen their efforts hindered by inadequate processes. Since Brazil and Mexico are two great Latin American powers in constant technological development and with continuous alternative proposals to improve the quality of their services to their great populations, Mexico’s lag in terms of electronic voting is quite notable when compared to Brazil. Even though the Aztec nation has held many simulations and case studies, a recently questionable bid process has left Mexico under the risk of delaying the advancement of the automation process, which was supposed to begin in Jalisco. 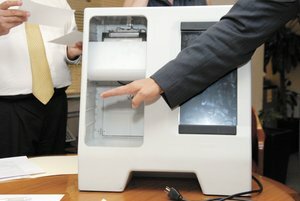 After the first simulated test-runs, the electronic ballots did not perform at their best. The situation was so critical that Deputy Ana Bertha Guzmán Alatorre, president of the Commission for Electoral Affairs, made it clear that if no improvement was reported, the use of these ballots would be avoided altogether. In that case, paper ballots would be used, and this would represent a significant step back. In her opinion, the remaining simulations must render a 100% performance for the ballots. The deputy insisted that the remaining simulations should facilitate the identification of potential problems. She considers that the Electoral Institute has the obligation of avoiding the use of electronic ballots if flaws are discovered at some point of the process. The third e-voting simulation held by the Electoral and Citizen Participation Institute (IEPC) will take place next May 6. According to the Electoral Advisor, Nauhcatzin Bravo Aguilar, It will be key to make a decision on the viability of holding electronic elections in Jalisco, in the town of Gómez Farías and the districts 1 and 17, centered in Tequila and Jopotepec. After the third e-voting drill, two more have been scheduled by the IEPC for May 27 and June 17. In the Phillippines, more than 50 million voters use voting machines. The ascentofe–voting in the world has been sustained, and proof of it is the fact that nowadays 24.8% of the world’s population (1,741,427,387 people) use machines to exert their right to suffrage. This technological liftoff in terms of voting has not been easy, and even now, in spite of its many success cases, automation not only has its fair share of supporters, but has also been threatened by detractors. While those who support the advance from manual to electronic voting highlight the unassailable qualities of technological development, such as the speed of results, the precision of scrutiny, the simplicity of the process, and the inviolability of vote secrecy, big worries are related to forgery of the emitted ballot or its blocking so that it cannot be tallied, as well as the difficulty to audit the system. Thus, the opportunity to emit suffrage through the different solutions of e-voting has sparked doubts that have turned into myths, but it all boils down to reliability. Here we must point out that countries like Brazil, USA, Belgium, Venezuela, and the Phillippines have decided to modernize suffrage and tried to solve—each with different mechanisms and automated modes—public resistance and that of experts. E-voting found the way to overcome distrust and fear through its development and reinforcement of all phases of the process. An example that overturns excuses about the impossibility of auditing automated elections is represented by Venezuela. In this country, all the electoral material is audited before each election: lists of those who are eligible as members of the board of elections and polling staff, the software used to select these people, voting machines, fingerprint scanners, indelible ink, etc. After the elections, a closing audit is carried out, making sure that 54% of the ballot boxes match the results reflected on the automated scrutiny manifests. One week later, the final audit— a general inspection of the process—takes place. 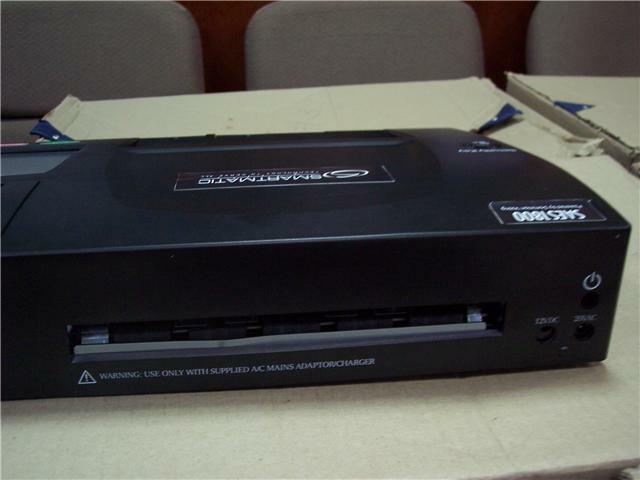 Venezuela has a 100% automated electoral system, provided by Smartmatic. 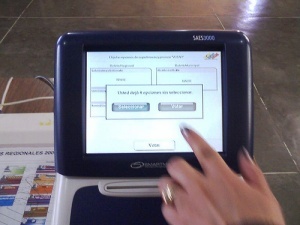 In terms of an eventual violation of the system, which is seen as one of the biggest challenges faced by e-voting, the truth is that the software used by voting machines has been conceived to use digital signatures, which are cryptographic tools with shared codes—in some countries, political parties and the electoral body have these codes—which protect the equipments, systems, and memories from irregularities related to their use prior to elections, errors in criteria, and requirements from the process. Also, digital signatures prevent contents from any modification. Another security aspect that has been efficiently covered in countries where electoral technology has been implemented is the fact that each voter can only vote once and cannot misappropriate another identity. The formula for this is the employment of biometric identification equipments where each person gets their fingerprint scanned for identity verification. In Brazil, voting machines can only be activated for use after the recognition of each voter’s fingerprint. Nowadays, many different technologies available in the market offer solutions for these and other concerns associated to the complex process of designing and executing automated elections. Myths and doubts have been dissipated in most cases with successful experiences, but there are still some who continue generating pressure and distrust due to their political and economic interests. With the tests performed over the electronic platform last March 25th falls a new piece in this domino effect that elections in Jalisco have become. The first piece that started the tragic chain reaction was the alleged participation of the selected company (Pounce Consulting) in the design of the terms for the bid to select the provider of electronic ballot boxes in Jalisco. According to the electoral counselor, Nauhcatzin Bravo Aguilar, there is a document created by Pounce Consulting, which shows how the company was involved in the creation—at its own convenience—of the terms. With this advantage, Pounce Consulting had tailored the bid process according to its own needs. “This document was used as a source for the elaboration of the terms of the public bid by the Computing Division of the Electoral and Citizen Participation Institute in Jalisco…”, declared Bravo Aguilar in a press release. Credibility of the process had been damaged at its very inception. The domino effect continued with the subsequent hiring of Pounce Consulting. This company, which lacks experience in the development or implementation of electronic voting technology, was considerably late in the delivery of the electronic ballot boxes for which it had been hired, threatening the electoral schedule. Problems keep arising as preparations for elections continue. The last piece to fall did so during the firsttest of the technological platform that is to be used during the July elections. According to important information from different media, 40% of the ballot boxes did not emit the information they contained. Even though IEPCJ minimized irregularities and attributed failures to setbacks related to access to electricity and the lack of coverage of cell phone networks, Mexicans—especially Jaliscans—should worry about the ineptitude of the electoral authorities and the company that is in charge of the upcoming democratic appointment. As if this weren’t enough, the pressure exerted by public opinion is such that the counselor from the Electoral and Citizen Participation Institute (IEPC), Juan José Alcalá Dueñas, expressed the following (regretful) declarations: “If we make a mistake in e-voting, we are burying it not only for Jalisco, but for the whole country; we are delaying it for 20 more years.” This decision would seriously affect the Mexican people, which have a right to transparent, secure, and reliable electronic voting processes. Electronic voting has shown in numerous elections around the world that, when it is carried out by competent companies, its reliability is complete, and its advantages surpass those of manual voting, Dr. Alcalá added.